Probably the developers from WMS gaming factory like the Irish folklore, that’s why the company has released Leprechauns Fortune slot machine free game. This game is founded on the famous Irish tale about Leprechaun. The game has the individual design. It has rich video graphics and pleasant thematic sound effects. The icons are nice and beautifully animated. The playground of the concerned game is divided into 5 reels and 50 always fixed pay lines. 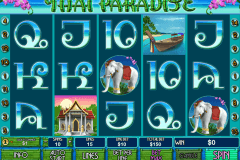 Like other WMS casino slots free games, Leprechauns Fortune allows New Zealand players and other gamblers to use special symbols and enjoy prize games within the gaming process. 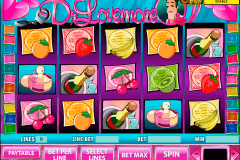 A player will discover standard and special symbols on the reels of the described play slot. The set of basic icons includes elves, mushrooms, violins, clover leaves and the poker cards values. The Wild symbols and the Scatter symbol form the set of advanced symbols. In a similar way as in other free video slots games, the Wild of Leprechauns Fortune can substitute all other tokens unless the Feature. The Wild symbol is described with the Leprechaun’s image. This component can appear on all the reels apart from the first reel. 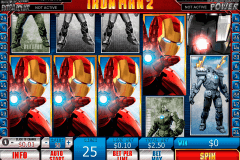 In the most of online casinos in New Zealand, the Feature unit is considered as the most valuable playing character. The described video game has the Feature symbol in the shape of the pot with golden coins. The Feature icon can occur on the first three reels only. If you manage to land 3 featured pots in any location of the screen, you will be given 10 free games. That’s why the concerned slot application belongs to free online casino slot machine games with bonus and free spins. It should be mentioned that the Wild Leprechaun may also appear during the bonus rounds and remains motionless in its position. If several such symbols become visible on the reels, you will be lucky to get the incredible pay off. 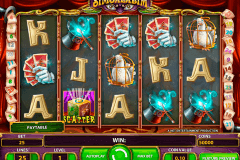 The described casino online game is a perfect place where you can check your gambling skills and use all gaming benefits to achieve the solid jackpot from the Leprechaun.